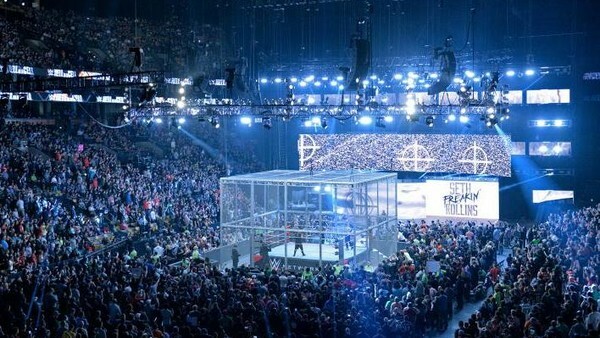 WWE's own official pay-per-view calendar for events post-SummerSlam has revealed that SmackDown will be the host show for October's Hell In A Cell special. Taking place at the Little Caesars Arena in Detroit, Michigan on Sunday, October 8, the pay-per-view will now exclusively feature blue-brand stars after being a Raw exclusive last year. This begs the question: just who will contest the main Cell matches on the show? Will Jinder Mahal still be WWE Champ by then, or will John Cena be the one to defend the title? Looking beyond Hell In A Cell, the calendar revealed another interesting tidbit. TLC has been moved to October 22, which is a departure from the typical December slot the pay-per-view has filled since first being introduced back in 2009. WWE haven't yet announced which pay-per-views will fill December either, with the last supershow for 2017 currently being Survivor Series on November 19. From there, the calendar jumps to January's Royal Rumble. The only thing for certain right now is that it'll be SmackDown's stars who work Hell In A Cell rather than the Raw roster this year.